OLOSHAS UNITED uses electronic security systems to protect any records containing personal identifying information and limits the number of people who have access to such information. Business partners with whom Oloshas United may share personal information during the course of usual business must abide by confidentiality agreements, which forbid the disclosure of any personal identifying information to additional parties. 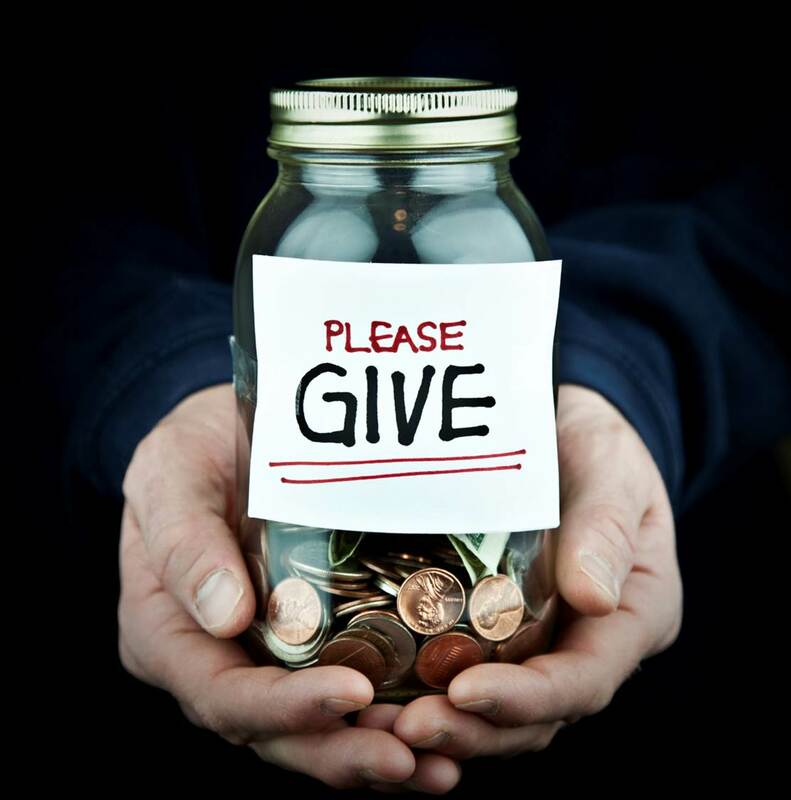 Oloshas United’s online donation process occurs in a secure portion of the Oloshas United website. Submissions are encrypted and secure from outside users via Secure Sockets Layer (SSL) software, the industry standard for secure online transactions. All personal information – including credit card number, name, and address – is encrypted so it cannot be read as it travels over the Internet. Oloshas United wants you to have positive experiences at its website – OLOSHAS UNITED.com and to understand your privacy rights while on its websites. If you do not agree with the terms outlined below, do not access Oloshas United’s websites. Oloshas United collects and uses non-personal identifying information, including IP addresses and web server log files. It also uses “cookies,” small pieces of information used to identify individual computers accessing a website. Oloshas United uses this information only in the aggregate. It does not combine non-personal identifying information with personal identifying information, commonly known as “online profiling.” At no time is personal information stored in a cookie. Oloshas United collects non-personal identifying information from websites in the aggregate. It uses this information to assess aggregate visitor volume and interest, i.e. which site pages are being visited most frequently. Oloshas United shares aggregated, non-identifying, demographic information about the websites’ usage with its sponsors and partners. For example, Oloshas United might disclose to its donors that 1,000,000 people visited OLOSHASUNITED.com in a given year. If you voluntarily provide personal identifying information (such as a first and last name, physical address including a street name, e-mail address, etc.) through online forms, Oloshas United will collect and retain this information. The personal identifying information will be used to establish the identity of account holders in order to respond to inquiries or to deliver requested information or services. For example, if you subscribe to one of Oloshas United’s e-newsletters, Oloshas United will store your name and e-mail address and send the requested e-newsletters to the e-mail address. Oloshas United does not make personal identifying information gathered on its websites available to other organizations, but may share information with business partners, in the usual course of business. For example, Oloshas United may use a third-party vendor to electronically distribute its e-newsletters. In order to send the e-newsletters, Oloshas United must share the e-mail address of subscribers with the vendor. Vendors that provide such services are obligated only to use this information for the purposes for which Oloshas United directs them to use it; namely, providing services directly for Oloshas United. On web pages that are directed toward children under the age of 13, Oloshas United limits its collection of information to non-personal identifying information, such as first name, grade, hometown and state, in an effort to comply voluntarily with the Children’s Online Privacy Protection Act. Oloshas United does not knowingly collect and retain personal identifying information from persons under the age of 13 and has safeguards in place to attempt to ensure it does not inadvertently collect and retain such information. Oloshas United strongly urges children to check with their parents before entering information on its websites, and it urges parents to discuss with their children restrictions concerning the online release of personal identifying information to anyone they do not know. This policy applies only to OloshasUnited.com. Oloshas United does not control the privacy policies of other websites to which Oloshas United might link. Oloshas United is committed to maintaining the confidence and trust of its financial supporters. Oloshas United collects the personal information that supporters provide. After someone donates to Oloshas United, his or her information is added to Oloshas United’s list. 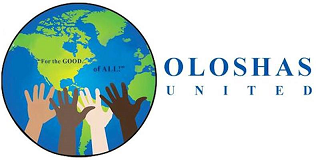 Oloshas United uses this information to keep donors informed about the progress of its programs through print and online mailings and to encourage donors’ continued financial support of its work. Oloshas United shares donor information with business partners as required in the usual course of business. For example, Oloshas United may use a vendor to assist in the generation and distribution of written communications to donors. Oloshas United makes its membership list available to reputable charities and businesses whose information we believe may be of interest to our members. Our ability to share your name with other entities will help build our supporter base. Sharing our list with others is the most cost-efficient way to find new supporters. We hope you agree. The option is yours. If you do not want your name used in this fashion, please let us know. You may contact us via this website by using our contact form. Please include your full name and address with your request. In order to receive OLOSHAS UNITED products, an individual must provide personal identifying information (such as a first and last name, physical address including a street name, e-mail address, etc.) Oloshas United will collect and retain this information. Oloshas United does not make the personal identifying information of people who order its products available to other organizations. The personal identifying information is used to establish the identity of recipients, deliver requested products to recipients and make recipients aware of additional or new OLOSHAS UNITED products that might interest them. In order to evaluate the usefulness of its materials, Oloshas United may also contact, by phone, e-mail or regular mail, persons who have ordered its products. Oloshas United may share information with business partners in the usual course of business. For example, the Center may use a vendor to help distribute products. Oloshas United does not disclose individual order histories, but may disclose aggregated order histories for its products. For example, Oloshas United would not disclose that “John Doe ordered a copy of this magazine”, but could disclose that 300,000 copies of that magazine were ordered. This User Agreement governs the use of the OUs (“OLOSHAS UNITED”) websites (the “Websites”) and is binding on all persons, entities, or computer programs that access the Websites (the “Users”). Please read this User Agreement carefully. You can access this User Agreement any time in the footer of Oloshas home page. Your access, visitation and/or use of the Websites will constitute your agreement to this User Agreement. If you do not agree with the terms and conditions of this User Agreement, you may not access, visit and/or use the Websites. The User Agreement may be modified from time to time; the date of the most recent revisions will appear on this page, so check back often. Continued access of the Websites by you will constitute your acceptance of any changes or revisions to the User Agreement. Some areas of the Website allows Users to post content such as comments, questions, and other content or information (“User-Generated Content”). Any User-Generated Content available on the Websites is hosted on one of website’s servers and in turn embedded on the Websites. Users posting via this platform are subject to the hosts Terms of Service. In addition to this User Agreement, you agree that any User-Generated Content that you post on the Websites is governed by and will abide by the Terms of Service provided by whoever hosts oloshasunited.com. In the event that the hosts Terms of Service conflict with this User Agreement, this User Agreement prevails in governing the relationship between You and Oloshas United. post, upload, transmit, send or otherwise make available on or through the Websites any software disabling devices, time bombs, Trojan horses, cancelbots, viruses, worms, bugs, corrupted files, spyware, adware, malware, malicious programs or code, or devices or defects of similar nature. CAUTION: ANY ATTEMPT TO DO ANY OF THE FOREGOING PROHIBITED ACTS, OR TO OTHERWISE UNDERMINE THE OPERATION OF THE WEBSITES, MAY BE A VIOLATION OF CRIMINAL AND CIVIL LAW. SHOULD SUCH AN ATTEMPT BE MADE, WE RESERVE THE RIGHT, IN ADDITION TO OUR OTHER REMEDIES, TO SEEK DAMAGES (INCLUDING WITHOUT LIMITATION ATTORNEYS’ FEES) FROM ANY SUCH INDIVIDUAL OR ENTITY TO THE FULLEST EXTENT PERMITTED BY LAW, INCLUDING CRIMINAL PROSECUTION. We take claims of copyright infringement seriously. The copyright policy applicable to User-Generated Content is available through OLOSHAS UNITED’s host. If you believe any User-Generated Content on the Websites infringe your copyright, you may request removal of those materials (or access thereto) from the Websites by submitting written notification to Oloshas United in accordance with the Online Copyright Infringement Liability Limitation Act of the Digital Millennium Copyright Act (17 U.S.C. § 512) (“DMCA”). Oloshas United has a right, but not a duty, to monitor, edit, and delete User-Generated Content. OLOSHAS UNITED takes no responsibility and assumes no liability for any User-Generated Content that you or any other User or third party posts or sends over the Websites. You shall be solely responsible for your User-Generated Content and the consequences of posting or publishing it, and you agree that we are only acting as a passive conduit for your online distribution and publication of your User-Generated Content. You understand and agree that you may be exposed to User-Generated Content that is inaccurate, objectionable, inappropriate for children, or otherwise unsuited to your purpose, and you agree that OLOSHAS UNITED shall not be liable for any damages you allege to incur as a result of content on the Websites, including any User-Generated Content. We may monitor activity on the Websites to foster compliance with the User Agreement. You hereby specifically agree to such monitoring. Nevertheless, we do not make any representations, warranties or guarantees that: (1) the Websites, or any portion thereof, will be monitored for accuracy or unacceptable use, (2) apparent statements of fact will be authenticated, or (3) we will take any specific action (or any action at all) in the event of a challenge or dispute regarding compliance or non-compliance with the Agreement. We generally do not pre-screen User-Generated Content before it is posted, uploaded, transmitted, sent or otherwise made available on or through the Websites by Users, so you may be exposed to User-Generated Content that is offensive, and/or inappropriate, including User-Generated Content that violates the User Agreement. We reserve the right, but undertake no duty, in our sole discretion, with or without notice, to review, edit, move, add, delete, or otherwise change any features, functionality, and/or User-Generated Content available on or through, or downloadable from, the Websites. Even after User-Generated Content is removed from the Websites, whether such removal or deletion is by you or by us, copies of that User-Generated Content may be retained and/or remain viewable by us, our licensors, vendors, service providers and/or other third parties, including other users. Please be aware that any User-Generated Content you disclose in publicly accessible portions of the Websites may be available to other users, so you should be mindful of personally identifiable information and sensitive content you may wish to post. WE ARE NOT RESPONSIBLE FOR THE CONSEQUENCES OF CONTENT OR PERSONALLY IDENTIFIABLE INFORMATION YOU POST, UPLOAD, TRANSMIT, SEND OR OTHERWISE MAKE AVAILABLE ON THE WEBSITES. By posting, uploading, transmitting, sending or otherwise making available User-Generated Content, or engaging in any other form of communication with us (on or through the Websites or otherwise) you irrevocably grant us a royalty-free, perpetual, non-exclusive, unrestricted, worldwide right and license to copy, reproduce, modify, edit, crop, alter, revise, adapt, translate, enhance, reformat, remix, rearrange, resize, create derivative works of, move, remove, delete, erase, reverse-engineer, store, cache, aggregate, publish, post, display, distribute, broadcast, perform, transmit, rent, sell, share, sublicense, syndicate, or otherwise provide to others, use, or change all such User-Generated Content and communications, in any medium (now in existence or hereinafter developed) and for any purpose, including commercial purposes, and to authorize others to do so. Among other things, this means that we may use any ideas, suggestions, developments, and/or inventions that you post, upload, transmit, send or otherwise make available in any manner as we see fit without any compensation or attribution to you. OLOSHAS UNITED, Oloshas United logo, and the design of the Websites are trademarks or trade dress of OLOSHAS UNITED, and may not be used without express written permission from OLOSHAS UNITED, other than for attribution. All trademarks not owned by OLOSHAS UNITED that appear on the Websites are the property of their respective owners, who may or may not be affiliated with, connected to, or sponsored by OLOSHAS UNITED. The Websites are based in the United States. The websites are not designed, customized or intended for, or directed to, any other country. Those who choose to access, visit and/or use the Websites do so on their own initiative and are responsible for compliance with local laws, if and to the extent local laws are applicable. We make no representation, warranty or guarantee that the Websites or content available on or through the Websites are appropriate, available, or legal in any particular geographic location. You agree that in the event of any dispute between us, you will first contact us and make a good faith sustained effort to resolve the dispute before resorting to more formal means of resolution, including without limitation any court action. In the event of any court action, all disputes will be resolved individually, without resort to any class action. Furthermore, you agree that any cause of action must commence within one (1) year after the underlying issue first arose; otherwise, you waive any right to bring such cause of action and such cause of action is permanently barred. You agree that: (i) the Websites shall be deemed solely based in the USA; and (ii) the Websites shall be deemed passive ones that do not give rise to personal jurisdiction over OLOSHAS UNITED, either specific or general, in jurisdictions other than the USA. This User Agreement shall be governed by the internal substantive laws of the USA, without respect to its conflict of laws principles. The application of the United Nations Convention on Contracts for the International Sale of Goods is expressly excluded. You agree to submit to the personal jurisdiction of a state or federal court located in Miami-Dade County, Florida for any claims. ALL CLAIMS MUST BE BROUGHT IN THE PARTY’S INDIVIDUAL CAPACITY, AND NOT AS A PLAINTIFF OR CLASS MEMBER IN ANY PURPORTED CLASS OR REPRESENTATIVE PROCEEDING. YOU AGREE THAT, BY ENTERING INTO THESE TERMS, YOU ARE WAIVING THE RIGHT TO PARTICIPATE IN A CLASS ACTION. If for any reason a court of competent jurisdiction finds any provision of the Agreement, or portion thereof, to be invalid or unenforceable, that provision or portion will be enforced to the maximum extent permissible so as to effect the intent of the parties, and the remainder of the Agreement will continue to be valid and enforceable in full force and effect. You agree to defend, indemnify and hold harmless OLOSHAS UNITED and its subsidiaries, agents, licensors, managers, and other affiliated companies, and their employees, contractors, agents, officers and directors, from and against any and all claims, damages, obligations, losses, liabilities, costs or debt, and expenses (including but not limited to attorney’s fees) arising from: (i) your use of and access to the Websites, including any data or content transmitted or received by you; (ii) your violation of any provision of the Agreement; (iii) your violation of any third-party right, including without limitation any right of privacy, Intellectual Property Rights, or claims for libel; (iv) your violation of any applicable law, rule or regulation; (v) any claim or damages that arise as a result of any of your User-Generated Content or any that is submitted via your account; or (vi) any other party’s access and use of the Websites with your unique username, password or other appropriate security code. THE WEBSITES ARE PROVIDED ON AN “AS IS” AND “AS AVAILABLE” BASIS. USE OF THE WEBSITES IS AT YOUR OWN RISK. TO THE MAXIMUM EXTENT PERMITTED BY APPLICABLE LAW, THE WEBSITES ARE PROVIDED WITHOUT WARRANTIES OF ANY KIND, WHETHER EXPRESS OR IMPLIED, INCLUDING, BUT NOT LIMITED TO, IMPLIED WARRANTIES OF MERCHANTABILITY, FITNESS FOR A PARTICULAR PURPOSE, OR NON-INFRINGEMENT. WITHOUT LIMITING THE FOREGOING, OLOSHAS UNITED, ITS SUBSIDIARIES, AND ITS LICENSORS DO NOT WARRANT THAT THE CONTENT IS ACCURATE, RELIABLE OR CORRECT; THAT THE WEBSITES WILL MEET YOUR REQUIREMENTS; THAT THE WEBSITES WILL BE AVAILABLE AT ANY PARTICULAR TIME OR LOCATION, UNINTERRUPTED OR SECURE; THAT ANY DEFECTS OR ERRORS WILL BE CORRECTED; OR THAT THE WEBSITES ARE FREE OF VIRUSES OR OTHER HARMFUL COMPONENTS. ANY CONTENT DOWNLOADED OR OTHERWISE OBTAINED THROUGH THE USE OF THE WEBSITES IS DOWNLOADED AT YOUR OWN RISK AND YOU WILL BE SOLELY RESPONSIBLE FOR ANY DAMAGE TO YOUR COMPUTER SYSTEM OR LOSS OF DATA THAT RESULTS FROM SUCH DOWNLOAD OR YOUR USE OF THE WEBSITES. TO THE MAXIMUM EXTENT PERMITTED BY APPLICABLE LAW, IN NO EVENT SHALL OLOSHAS UNITED, ITS AFFILIATES, AGENTS, DIRECTORS, EMPLOYEES, OR LICENSORS BE LIABLE FOR ANY DIRECT, INDIRECT, PUNITIVE, INCIDENTAL, SPECIAL, CONSEQUENTIAL OR EXEMPLARY DAMAGES, INCLUDING WITHOUT LIMITATION DAMAGES FOR LOSS OF PROFITS, GOODWILL, USE, DATA OR OTHER INTANGIBLE LOSSES, THAT RESULT FROM THE USE OF, OR INABILITY TO USE, THE WEBSITES. UNDER NO CIRCUMSTANCES WILL OLOSHAS UNITED BE RESPONSIBLE FOR ANY DAMAGE, LOSS OR INJURY RESULTING FROM HACKING, TAMPERING OR OTHER UNAUTHORIZED ACCESS OR USE OF THE WEBSITES OR YOUR ACCOUNT OR THE INFORMATION CONTAINED THEREIN. TO THE MAXIMUM EXTENT PERMITTED BY APPLICABLE LAW, OLOSHAS UNITED ASSUMES NO LIABILITY OR RESPONSIBILITY FOR ANY (I) ERRORS, MISTAKES, OR INACCURACIES OF CONTENT; (II) PERSONAL INJURY OR PROPERTY DAMAGE, OF ANY NATURE WHATSOEVER, RESULTING FROM YOUR ACCESS TO OR USE OF OUR WEBSITES; (III) ANY UNAUTHORIZED ACCESS TO OR USE OF OUR SECURE SERVERS AND/OR ANY AND ALL PERSONAL INFORMATION STORED THEREIN; (IV) ANY INTERRUPTION OR CESSATION OF TRANSMISSION TO OR FROM THE WEBSITES; (V) ANY BUGS, VIRUSES, TROJAN HORSES, OR THE LIKE THAT MAY BE TRANSMITTED TO OR THROUGH OUR WEBSITES BY ANY THIRD PARTY; (VI) ANY ERRORS OR OMISSIONS IN ANY CONTENT OR FOR ANY LOSS OR DAMAGE INCURRED AS A RESULT OF THE USE OF ANY CONTENT POSTED, EMAILED, TRANSMITTED, OR OTHERWISE MADE AVAILABLE THROUGH THE WEBSITES; AND/OR (VII) USER-GENERATED CONTENT OR THE DEFAMATORY, OFFENSIVE, OR ILLEGAL CONDUCT OF ANY THIRD PARTY. IN NO EVENT SHALL OLOSHAS UNITED, ITS AFFILIATES, AGENTS, DIRECTORS, EMPLOYEES, SUPPLIERS, OR LICENSORS BE LIABLE TO YOU FOR ANY CLAIMS, PROCEEDINGS, LIABILITIES, OBLIGATIONS, DAMAGES, LOSSES OR COSTS IN AN AMOUNT EXCEEDING GREATER THAN EITHER (A) THE AMOUNT YOU PAID TO OLOSHAS UNITED HEREUNDER OR (B) 1 DOLLAR. THIS LIMITATION OF LIABILITY SECTION APPLIES WHETHER THE ALLEGED LIABILITY IS BASED ON CONTRACT, TORT, NEGLIGENCE, STRICT LIABILITY, OR ANY OTHER BASIS, EVEN IF OLOSHAS UNITED HAS BEEN ADVISED OF THE POSSIBILITY OF SUCH DAMAGE. THE FOREGOING LIMITATION OF LIABILITY SHALL APPLY TO THE FULLEST EXTENT PERMITTED BY LAW IN THE APPLICABLE JURISDICTION. SOME STATES DO NOT ALLOW THE EXCLUSION OF IMPLIED WARRANTIES OR THE EXCLUSION OR LIMITATION OF INCIDENTAL OR CONSEQUENTIAL DAMAGES, SO THE ABOVE LIMITATIONS OR EXCLUSIONS MAY NOT APPLY TO YOU. THESE TERMS GIVE YOU SPECIFIC LEGAL RIGHTS, AND YOU MAY ALSO HAVE OTHER RIGHTS WHICH VARY FROM STATE TO STATE. THE DISCLAIMERS, EXCLUSIONS, AND LIMITATIONS OF LIABILITY UNDER THESE TERMS WILL NOT APPLY TO THE EXTENT PROHIBITED BY APPLICABLE LAW. 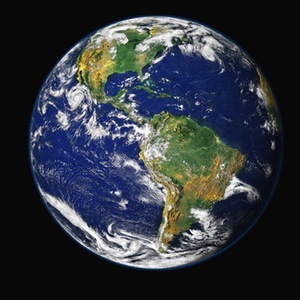 The Websites are controlled and operated from its facilities in the United States. OLOSHAS UNITED makes no representations that the Websites are appropriate or available for use in other locations. Those who access or use the Websites from other jurisdictions do so at their own volition and are entirely responsible for compliance with all applicable United States and local laws and regulations. These Terms, and any rights and licenses granted hereunder, may not be transferred or assigned by you, but may be assigned by OLOSHAS UNITED without restriction. Any attempted transfer or assignment in violation hereof shall be null and void.